A company living tradition and vision. In 1964 the parents of today`s Managing Director Wolfgang Zmugg, Friedrich and Theresia Zmugg, started with the production of postmix-syrup in the backyard of their small grocery in Graz. Wolfgang Zmugg took over the business from his parents in 1982 as a one-man operation with 183 customers. Soon afterwards the search for a suitable and meaningful name began, resulting in the creation of the first postmix-syrup brand “GRAPOS” – an abbreviation for “Grazer Postmix-syrup”. In 1982 the postmix-syrup production was moved to the Triesterstraße in Graz. Due to the huge demand a plant extension became necessary in 1998. Since 1999, the well-kown GRAPOS-Postmix syrup is produced in Europe’s most modern enterprise in the field of postmix-syrup-production in Lannach, near Graz, in compliance with the European hygiene standards (HACCP). The GRAPOS customers appreciate unsurpassed service and the personal customer service. 365 days a year our trained and dedicated employees are on stand-by and act fast and efficiently on any requests and special wishes from our customers. Combining product quality and highest hygiene standards a brand has been created that has convinced our customers for years. In 1999 an expert commission examined the regulation of the internal procedures as well as the compliance with European hygiene standards and certified these with ISO 9001 and HACCP. At present the impressive product variety comprises 27 different flavours and is unequalled on the European postmix-sector. In addition to the classic refreshment beverages and various Cola-types we also produce specials such as cactus-fig green tea or exotics like pineapple, mango-passion fruit or grapefruit-lemon. Energy drinks and isotonic beverages as well as special breakfast beverages (with vitamins added) are part of our big product range. We are also happy to meet any special customer requests – there is no limit to taste varieties. Since the mid 90’s GRAPOS is engaged in the development, the production and installation of dispensing systems for the catering industry. The GRAPOS brand SCHANKOMAT is an international benchmark for dispensing systems. Both manually and computer controlled systems simplify the operation in the catering industry enormously and substitute the conventional bottle bar. Perfect logistics and plenty of know-how are necessary in order to merge e.g. up to 25 dispensing units to one complete system ensuring perfect operation. Nowadays nearly every large-scale project is realized with the technology of GRAPOS/SCHANKOMAT. 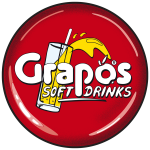 Grapos is as synonym for quality, refreshment, customer service, good value for money, trained and customer-oriented employees as well as professionalism in the dispensing technology. 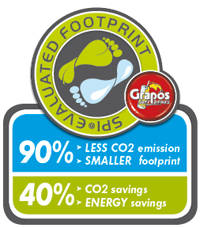 The goals for GRAPOS are both to extend the supply on a permanent basis and to gain future market shares on the European market.